For many years we have been praying about moving to Thailand. We finally feel like it is the right time to move. Please take a few moments to enjoy our story and tell us what you think about our move. 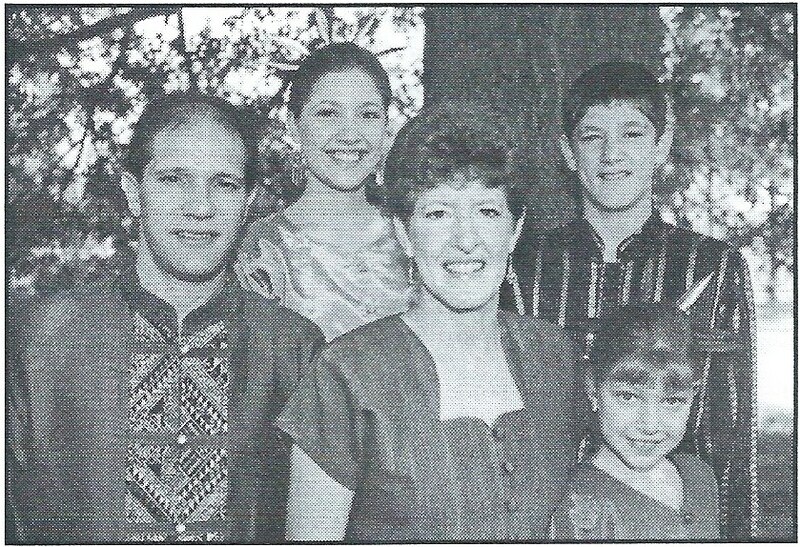 The Durene family moved to Thailand as missionaries. Krista was twelve. She fully expected to live in a house like this. Instead they ended up living in Chiang Mai where she became friends with people who were compelled by their faith to make a difference for refugees. Here’s another great photo. 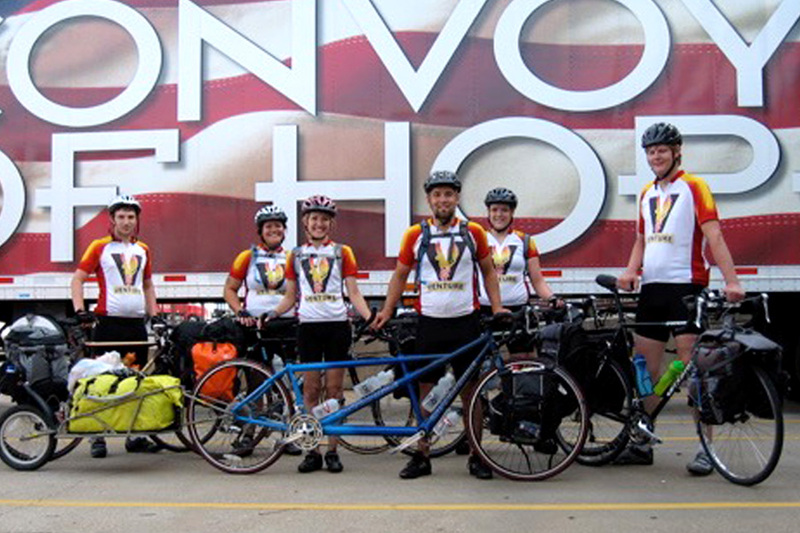 Aaron reluctantly rode his bike across America with a few friends to raise money for a mission in Argentina. It changed his life. After the trip, Aaron worked with his friends to keep Venture going so more people’s lives could be changed. 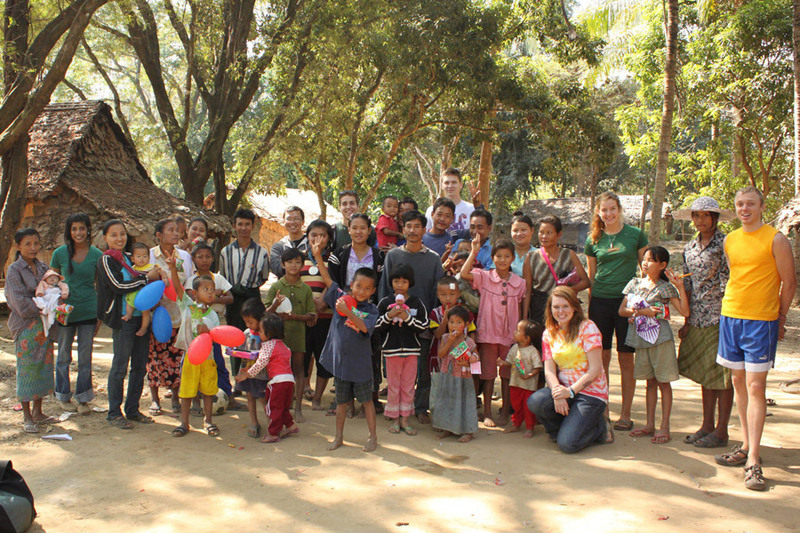 As a youth leader at Summit Church, Krista helped lead her youth group missions trip to Thailand. They worked in a university campus and a high school teaching English and sharing their faith. After much convincing, Krista finally agreed to date Aaron in college even though he wasn’t her “type”. Their first date, as an official couple, was to Starbucks which grew their love for coffee and each other. Krista always imagined her wedding at a resort in Chiang Rai. That wasn’t going to happen, but with quite an awkward proposal, she was engaged there. Krista and Aaron were married in Minneapolis and they lived happily ever after. Since that day they’ve been praying about moving to Thailand. 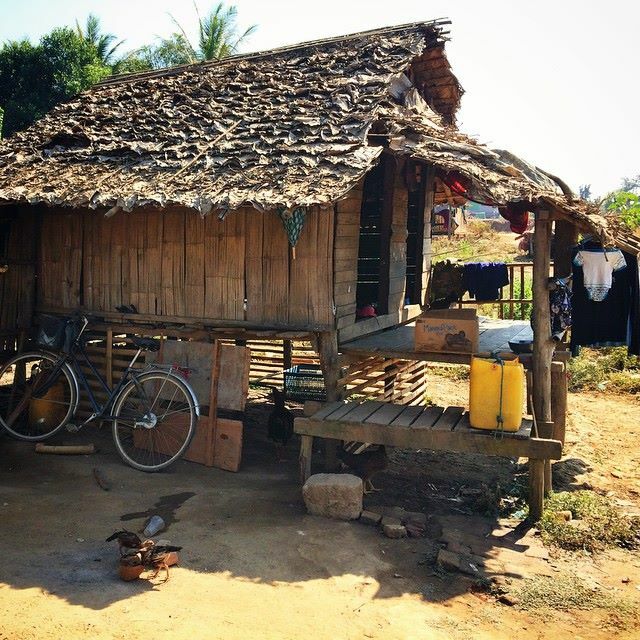 Shortly after the tsunami in Southeast Asia, Aaron cycled with a Venture team 1,500 miles from the southernmost point of Thailand to the northernmost point of Thailand. They raised funds for a Bible school to train pastors how to respond to these types of crises in their communities. Aaron and Krista ride a tandem bicycle (which is now called the marriage tester 2000) to New Orleans with a Venture team to raise support for Hurricane Katrina relief efforts through Convoy of Hope. Their marriage was tested as they rode 1,500 miles in 18 days through the heat of the summer. Aaron, Sherry (Aaron’s Mom), Krista, and Alaithia (Krista was pregnant) visited Thailand for a few days on the way back to the States from delivering Operation Christmas Child packages to kids, and visiting a special needs orphanage, in China. It was a rough trip for Krista. The cycling legend, Tom Ritchey, graciously agreed to bike with Aaron through Thailand. On the second day of the trip Aaron was hit by a truck. Unfortunately the cycling trip ended, but it created room for dreaming about how he and his family could serve in Thailand. On Alaithia’s first trip to Thailand, the Bangkok Airport was taken over during a coup. After flying 15 hours the Smith family was rerouted to Singapore which added 10 hours of flying, a 2-day layover and 15 hours of driving to their travel itinerary. Alaithia, only 14 months old, took it like a champ. 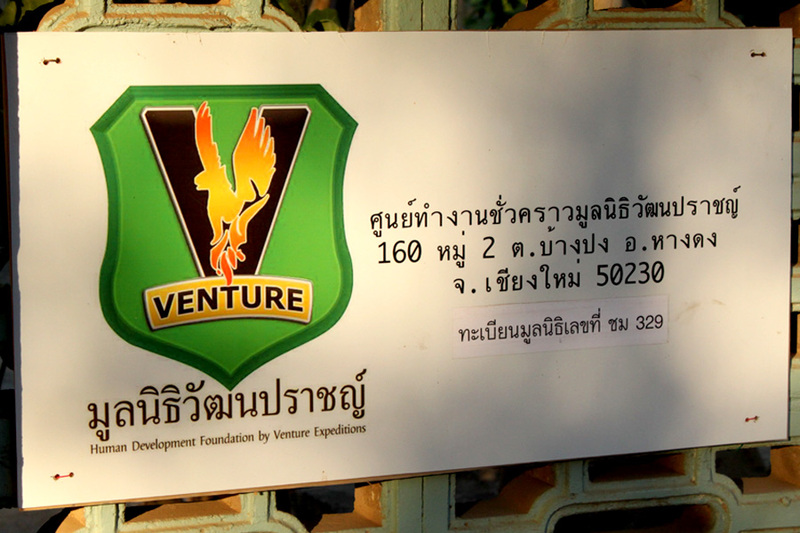 With the help of Mark Durene, Venture starts its education and discipleship center in Ban Pong. The opening of the center faced much resistance from the locals. The community threatened to stone Venture’s Thai leader. He started it anyway and shortly after, Venture saw many kids find hope in Christ. Aaron dragged his family to Thailand when he led a Venture trip. Jotham was 10 months. His passport picture is awesome! He had a great time and remembered everything. Not. Venture partners with Feed My Starving Children to start a feeding program for displaced people along the Thailand/Myanmar border. Ryan, a co-founder of Venture, was divinely inspired to start the project in the midst of a severe food shortage. Aaron and Krista led a trip for Substance Church into Myanmar to distribute Feed My Starving Children meals at a brick-making village. They were touched by the people there and felt that it was time to move their family to Thailand. The Smith Family will continue their work in Thailand. Take a few minutes to learn about our work in Thailand or more about us.